Woman in Gold is the remarkable true story of one woman’s journey to reclaim her heritage and seek justice for what happened to her family. Sixty years after she fled Vienna during World War II, an elderly Jewish woman, Maria Altmann (Helen Mirren), starts her journey to retrieve family possessions seized by the Nazis, among them Klimt’s famous painting Portrait of Adele Bloch-Bauer I. Together with her inexperienced but plucky young lawyer Randy Schoenberg (Ryan Reynolds), she embarks upon a major battle which takes them all the way to the heart of the Austrian establishment and the U.S. Supreme Court, and forces her to confront difficult truths about the past along the way. 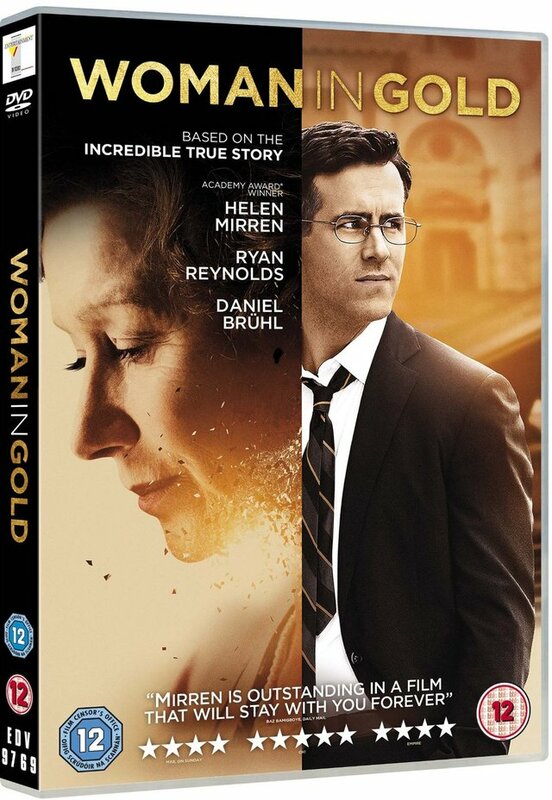 Woman In Gold will be released by Entertainment in Video on DVD and Blu-Ray on 3rd August 2015. To be in with a chance of winning one of 3 Woman in Gold DVDs, simply answer the question below. The competition closes at 23.59 (GMT) on Friday 21st August 2015. I suppose it’s a bit late now but your question could do with re-phrasing as 2 of your answers play Maria Altmann, one as her younger self. Thanks for the competition though!